Sometimes the most simple ideas really are best, and the Aerobie AeroPress Coffee Maker proves this to be correct. On first impression you might think 'What is this strange two tube affair?' but I can tell you that, once used, you will never look back. It makes great coffee, and gone are the days when cleaning the coffee maker takes longer than enjoying the drink itself. The apparently simple idea is, of course, actually very carefully thought out. 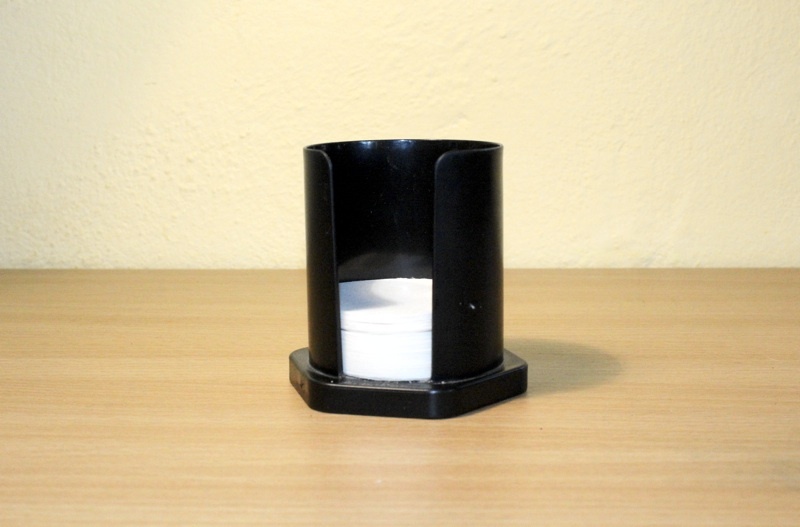 First you place a thin but highly effective paper filter into the base and twist this onto the main tube, the tube then sits solidly on top of your cup and, for a single cup of espresso, you just add a scoop of ground coffee into it. 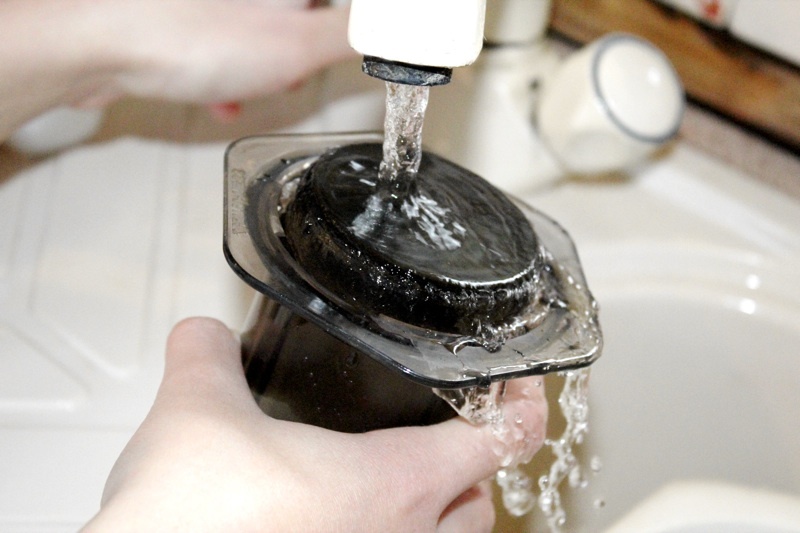 Fill with hot water to the desired amount (there are measures on the tube to show the amount of water according to the number of scoops of ground coffee used), stir and leave for a minute before plunging the second tube, which has a well-fitted rubber base, into the first tube. This immediately causes a vacuum which pushes the water through the ground coffee without the rubber even coming into contact with the water - amazing! You can then top up your cup with more hot water for an Americano or add hot milk if you want a latte. The instructions say to push the second tube right down, but I find that it is better just to use the vacuum effect. This way absolutely no coffee grounds seem to come through the filter at all. The taste obviously depends on the ground coffee used, but with my favourite blend it makes better tasting coffee than my cafetière. Once used, the procedure for cleaning could not be simpler. Unscrew the bottom of the tube and tip the used coffee grounds into a bin with the filter, then quickly rinse the components under a tap. This is where it really beats all other coffee makers I've come across. It's clean in seconds and ready to use again - no hassle. Now, the makers of the AeroPress have not skimped at all. The coffee maker is very well made and they have used good strong materials. It comes with an excellent supply of filters which can be placed in the well-made filter dispenser and can, apparently, easily be reordered when needed. There is a useful measuring scoop, the handle of which can also be used for stirring, and also a funnel to help make sure freshly ground coffee can be added without spilling. These things are important and help make the whole experience of using the AeroPress a true delight. The design is well-considered with no useful opportunity missed - even the plunger tube can be used to help measure the water. Full instructions come with the Aerobie AeroPress and these explain everything with good detail. However, it really is simple and, more importantly, works perfectly.